Proving that Hollywood thinks anything is a good idea (even when it is absolutely terrible), Emoji’s are headed to the big screen. 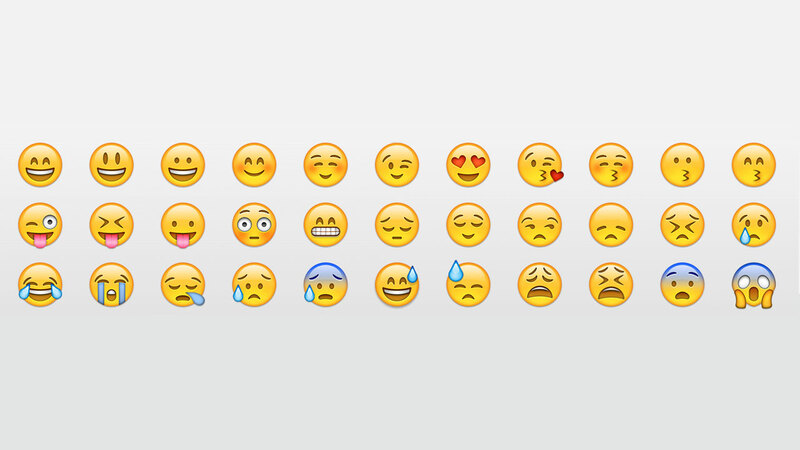 Yes, those cute winky faces that you send to your friends are getting their own movie. And whats more, Deadline is reporting there was even a heated bidding war between Sony Pictures, Warner Bros., and Paramount over Eric Siegel (Men at Work) and Anthony Leondis' (Igor, and slated to direct this project) pitch for an Emoji centric movie, which Sony won with a reported seven figure pay out. So apparently, this license is something people actually want to make, but will anybody actually want to see it? Sure, The LEGO Movie proved there is a market to make something genuinely compelling out of the most unlikely of sources, as evidenced by the the upcoming Pixels, but it’s a big jump from iconic characters from multiple generations childhood to the googly eyed faces you send people when you don’t feel like typing anymore. What’s more, Sony will have to move quickly, with another Emoji pitch being put up for bidding very soon. So, we could see duelling Emoji movies vying for our cash at the box office. In the words of the immortal Charlie Brown, ‘good grief’. The Movie Bit: An Emoji Movie? Really!!? ?